Raederle: Raw Nog | Raederle's Raw Recipes For Raw Nog | Raw Raspberry "Eggnog"
Raw Nog | Raederle's Raw Recipes For Raw Nog | Raw Raspberry "Eggnog"
The key to nog is the spices, not the actual contents of the nog. How much of each spice you use will depend partly on your personal preference. My husband prefers a lot of nutmeg, whereas I prefer a lot of cinnamon. On this page you'll find several different ways to make a delicious healthy raw eggnog without the use of eggs. Nutritional information is at the end of this post. Please remember to share on facebook, tweet about this one twitter, and pin this to your recipes pinboard on pinterest. Thanks! 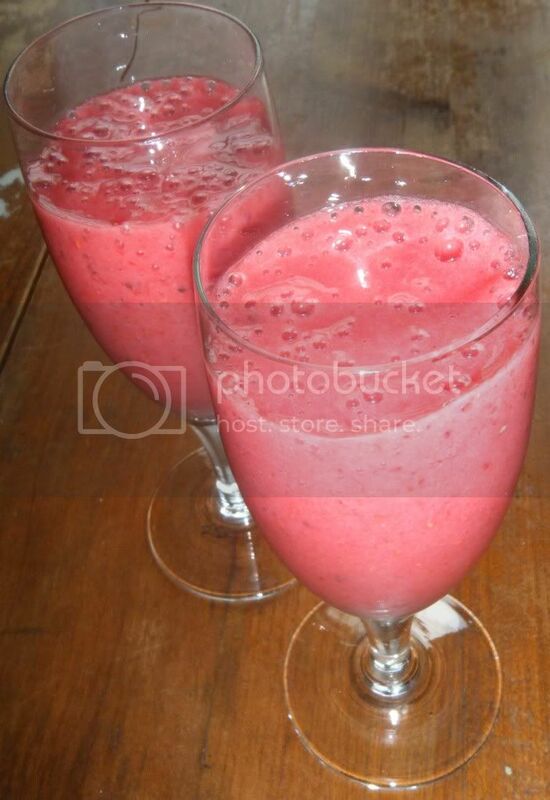 Blend all ingredients together in the blender until smooth. Soak in drinking water and rinse thoroughly with drinking water. This is to germinate the almonds. It makes them just begin the chemical changes of growing. This change is vital for your digestion. It increases enzyme activity, which means more digestibility. There is even a book out there called "Soak Your Nuts" because it really is that important. Pour mixture into a nut-milk bag or into several layers of cheese cloth. Squeeze until the pulp in the bag is essentially dry and crumbly. If you have a masticating juicer with a "blank" attachment, then you can make your own nut-butter by running almonds through several times. Running them through multiple times releases more and more oils, making it more and more oily. With a little water, nut butter can be used in place of nut milk. To learn about the appliances I recommend click here. Soak macadamia nuts for four to twelve hours. Either make macadamia nut milk (same directions as almond milk above) or mash in juicer. An alternative to both is to simply blend them in the blender with water and use them that way, but the texture isn't as nice. If you're using a juicer to mash, you may run dried bananas and/or dates through with the nuts to ensure you don't end up with chunks in your blender. Blend everything together in your blender and enjoy. Add a couple pinches of cardamom. 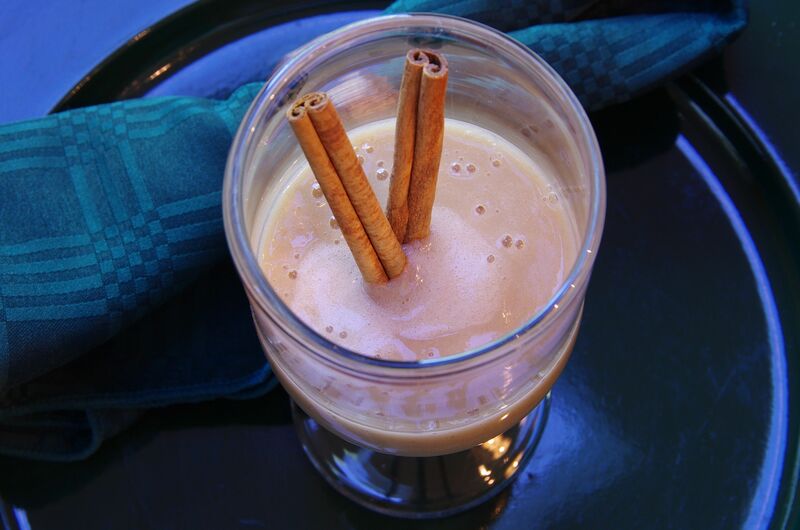 Use half a tablespoon of cinnamon, or up to three tablespoons. Up to five pinches of nutmeg. Up to four pinches of ginger. Up to a teaspoon of vanilla powder. Try adding a pinch of cayenne. Try adding a pinch of raw cacao or carob. It's the spices that really make one dessert different from one another. The difference between a luxurious creamy coconut pie and a delectably naughty chocolate pie is vanilla versus cacao. The rest of the ingredients can easily be the same. However, use of coconut oil in coconut cream pie is much more essential than in a chocolate pie or vanilla pie, so it is not always just spices that make the difference. The nutritional analysis below is based on the following ingredients. 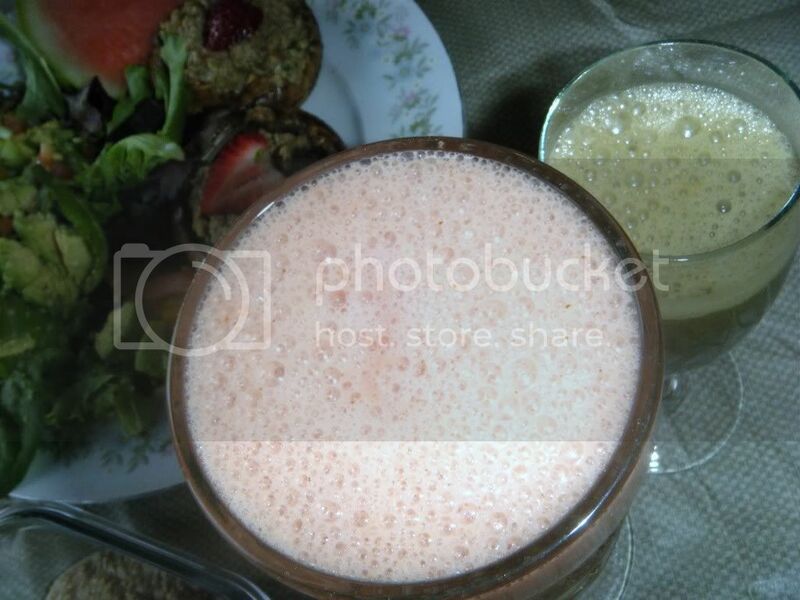 The following ingredients are intended to represent one tall glass of raw vegan raspberry eggnog excluding the water itself used in the nut milk. Interested in a full week of recipes where each day is nutritionally complete? Help support my website and buy my nutritionally complete meal plans. Your body will thank you by being energetic! Interested in knowing when new recipes and articles are posted to my website? Join my monthly mailing list below and each month you'll receive an update with links to my new entries of that month and a quick blurb about new developments in my life. Members of my monthly newsletter may qualify for special discounts on my ebooks and/or services.